Andre was rescued from the pound by a German Shepherd rescue organization. I was really looking for a German Shepherd, but something about Andre�s picture on the web site appealed to me. 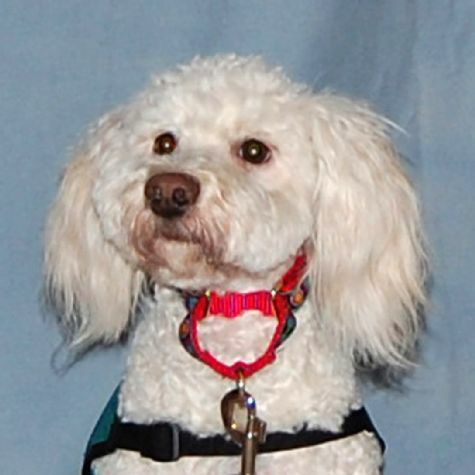 So I went to meet Andre, a Bichon Frise mix, and fell in love with him. He was a star in our obedience class. I have never had a dog that was so easy to train because he just wants to please. He loves visiting the hospital. He especially likes getting comfortable on someone�s bed and being given treats.